A jack-o'-lantern is a carved pumpkin, turnip or beet, associated chiefly with the holiday of Hallowe'en, and was named after the phenomenon of strange light flickering over peat bogs, called will-o'-the-wisp or jack-o'-lantern. 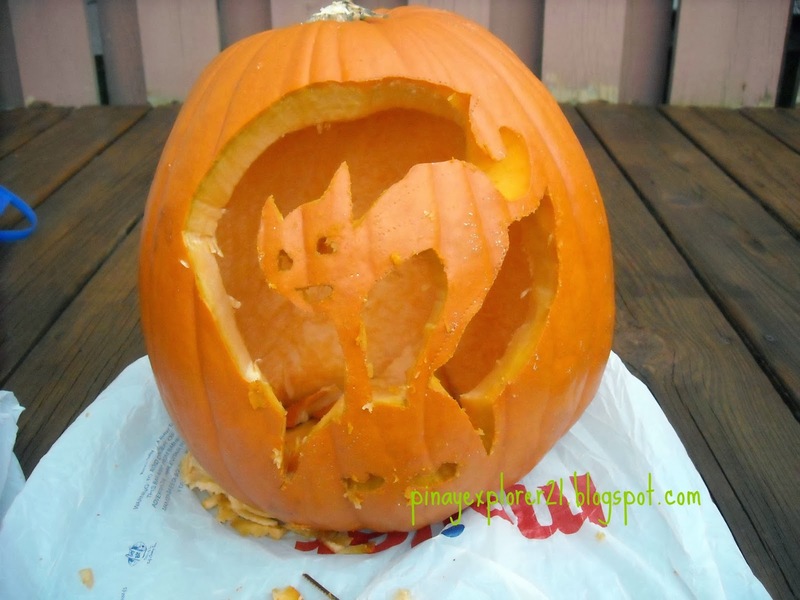 In a jack-o'-lantern, the top is cut off, and the inside flesh then scooped out; an image, usually a monstrous face, is carved out, and the lid replaced. It is typically seen during Halloween. 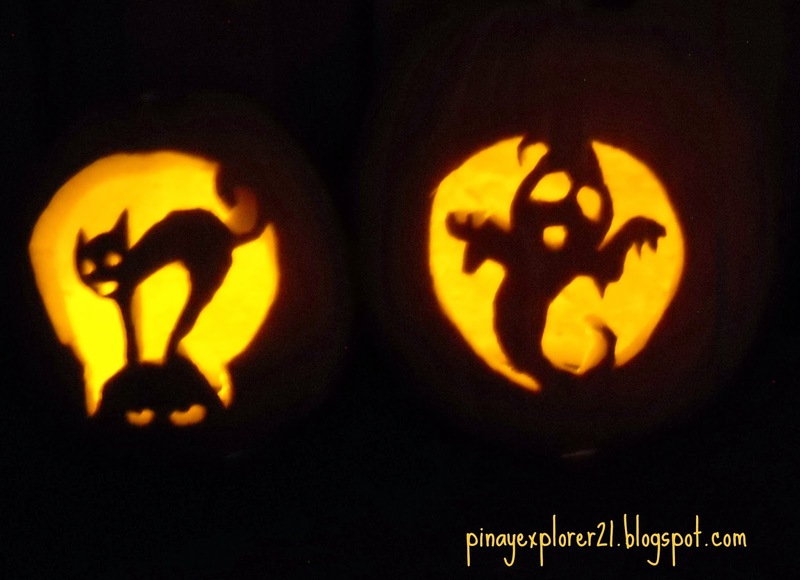 This is our first time to carved Pumpkin and I'm pretty excited about it, more than excited than my kiddies, I think..(wink). 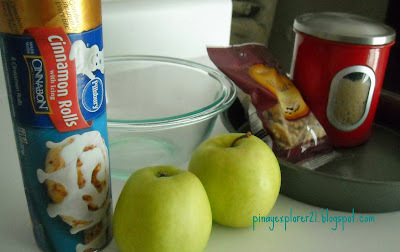 I made Easy Spaghetti for our dinner and my kids helped me make Iced Pumpkin Cookies for our yummy dessert. Pumpkin carving is really fun activities for the whole family, especially for kids. Awesome experience!! 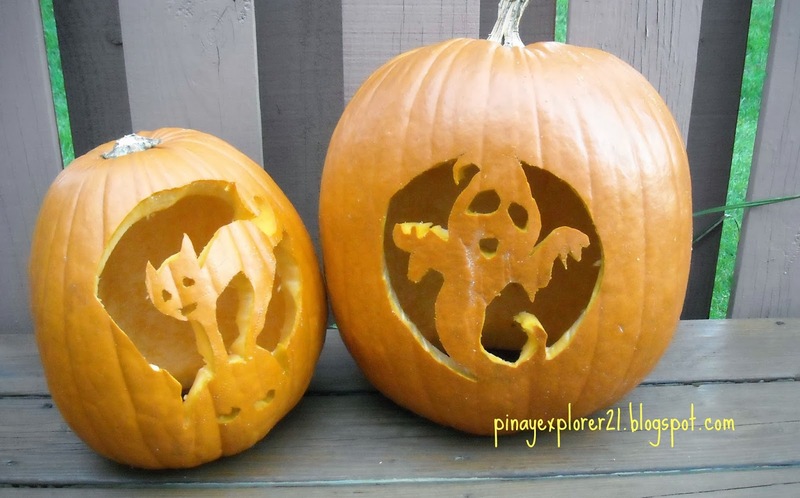 Check out below our first carved pumpkins. Enjoy the rest of the week! I'll see you in few days for more recipes. 1.) 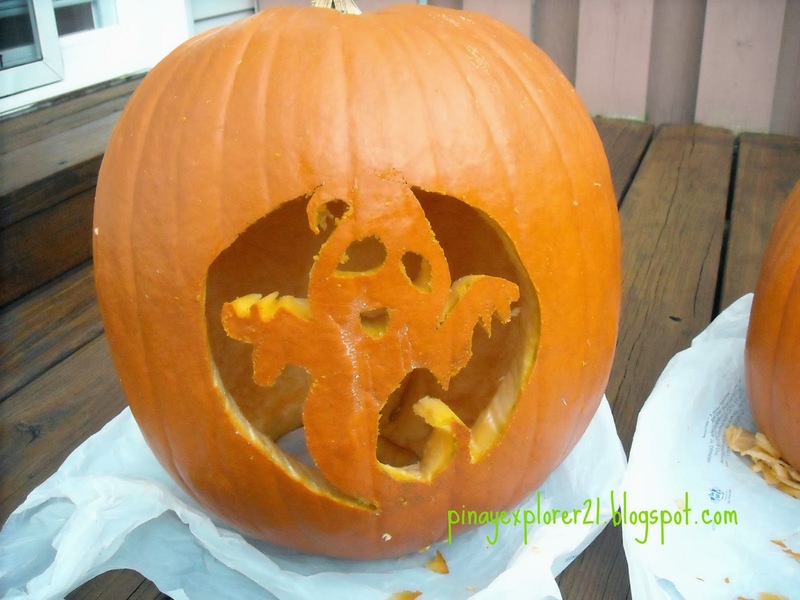 Take the bottom part of the pumpkin, use spoon to scrape the inside cavity of the pumpkin. Clean it really good make sure no seeds left. 2.) 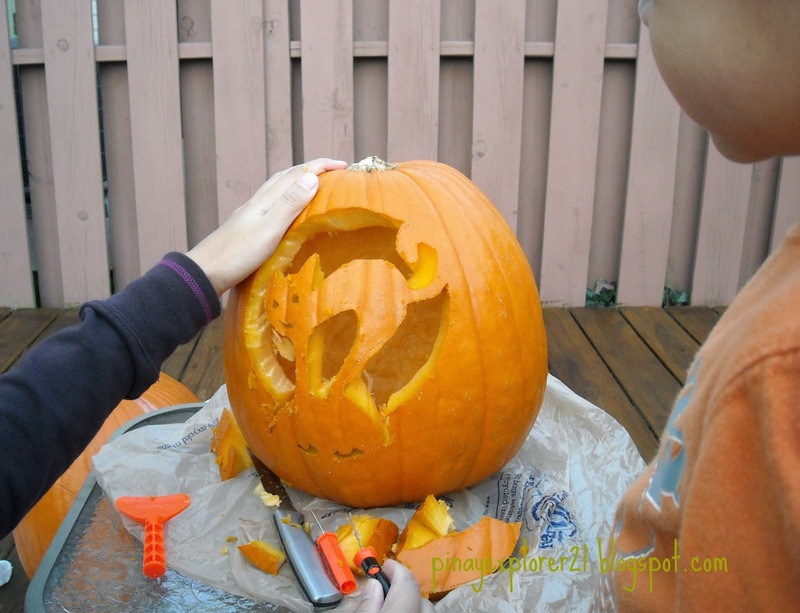 Using your stencil printed in the computer, trace it over your clean pumpkin. THAT'S IT! Note: If carving for simple pumpkin face you don't have to use stencil. Whatever makes you feel easy and comfortable.. 3.) Follow the stencil line then start carving, start with the most difficult one like the eyes, tale, mouth and ears. Then do the rest slowly! Happy Halloween Everyone! See you in few days for more exciting and fun recipes..
Kaldereta is a popular dish in the Philippines, especially on Luzon Island. Hello! 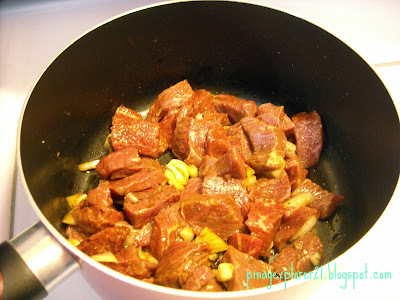 Guys, Anyone hungry for some beef kaldereta? Yep! that's what we gonna have this week, I'm thinking this would be perfect comfort food for this cold rainy days, Sauteed Green Beans for side dish and leave some room for Iced Pumpkin cookies, chocolate crinkles or even macaroni salad for dessert. A perfect family dinner indeed that everyone will enjoy. The aroma from beef caldereta is all over the house right now, wonder why I feel like I'm drooling while writing this post (hahahha). Kaldereta is best when the meat so tender, So, expecting that the cooking process is like 45 minutes to 1 hour, depending on the cut of the meat, Perhaps you could used slow cooker on this process or pressure cooker. 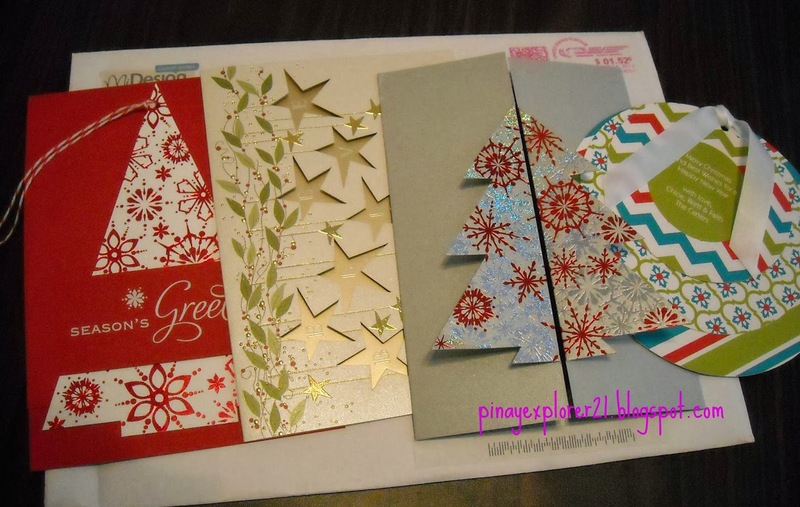 I simmerred mine for long period of time, enough for me to finish blogging about it ( wink). This recipe is totally my version of Kaldereta, I don't have any peas on hand at the time, So, I added the Bokchoy instead but feel free to make your own twist of classic Kaldereta. The good thing about cooking, is when your having FUN. 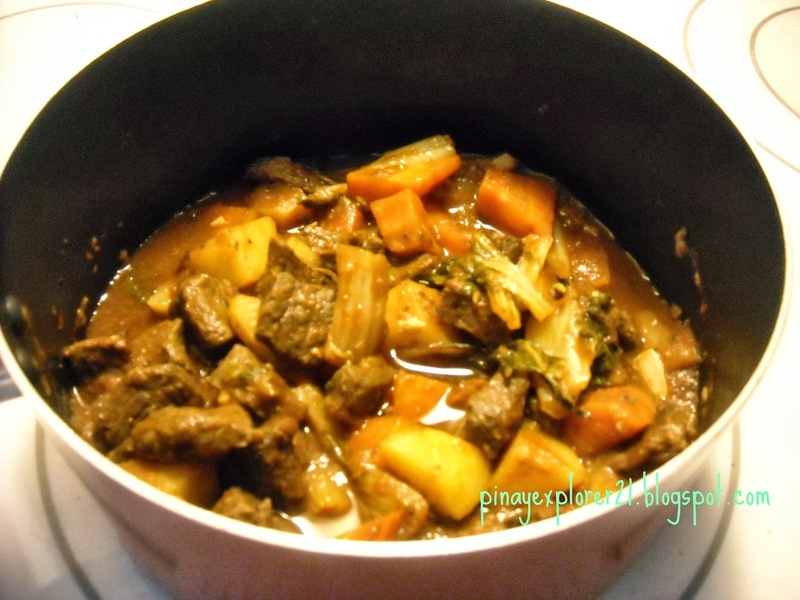 Anyways, If you do have some awesome recipe for Kaldereta, or ingredients that I miss or anything at all. 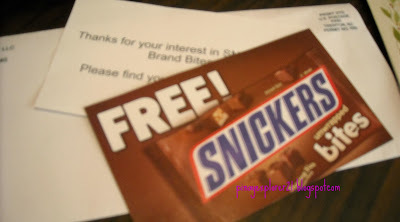 Feel free to leave a comment on my blog. I'll be more than happy to know. 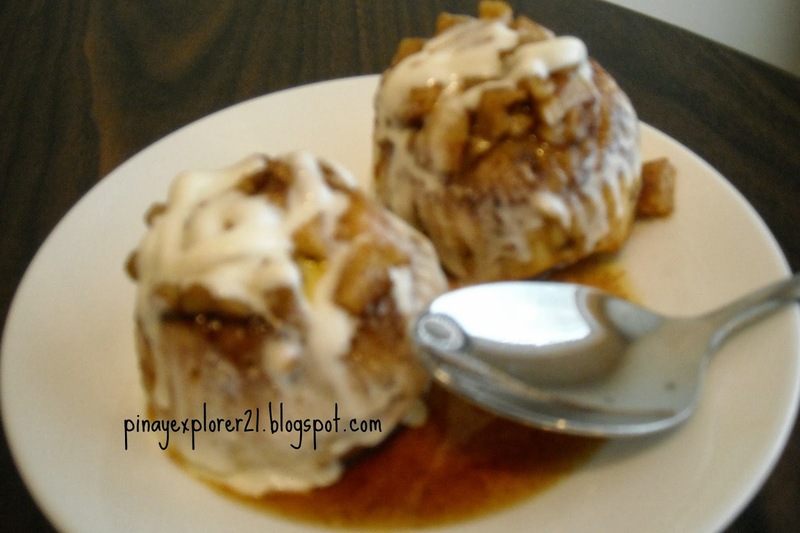 Check out my recipe below and see you in few days for more recipe. Have a sweet and fun week everyone. 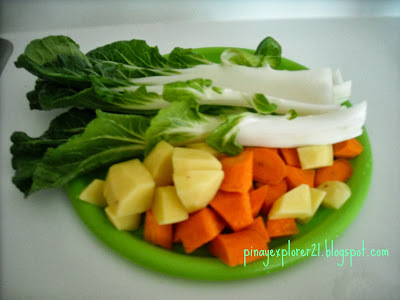 -This recipe serve for 4 people, adjust the ingredients depending on the number of guest you have. -Use your favorite sauce and ingredients. 1.) Marinate the cut beef with little soy sauce. Set aside. 2.) Put oil in large pot, Add the garlic and onion. Saute until translucent. 3.) Add the marinated beef. Let it simmer for like 5-8 minutes or until brown. 4.) Add enough water or stock to level up the meat. Let it cook slow until the meat become tender. I would say 45 minutes to an hour depending on the cut of meat. NOTE: Keep checking on it every 15 minutes. 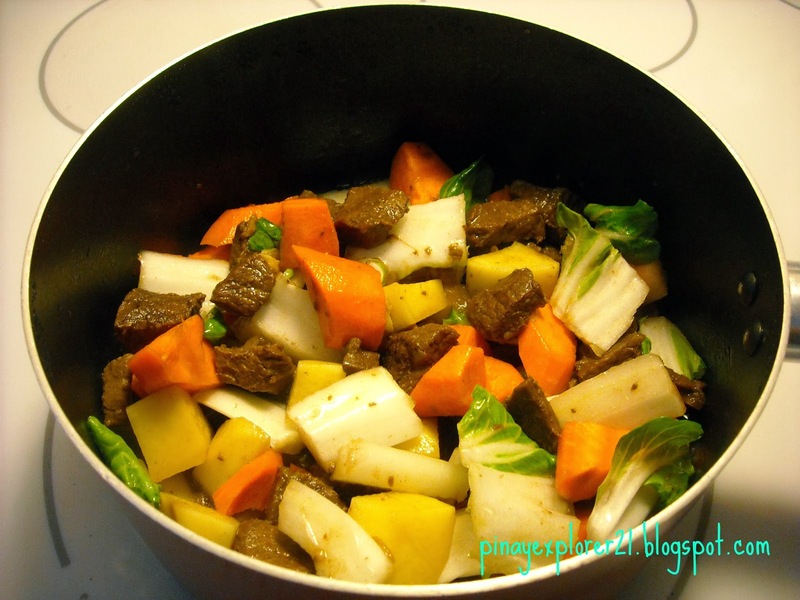 Make sure that there's enough water or beef stock on the pot to avoid burned caldereta. 5.) When the water or beef stock reduced and the meat is tender. Time to add the tomato sauce and the chopped vegetables. Salt and Pepper to taste. Let it simmer until the vegetables are cooked through. 6.) Best served when HOT! along with rice and sauteed green beans. ENJOY! 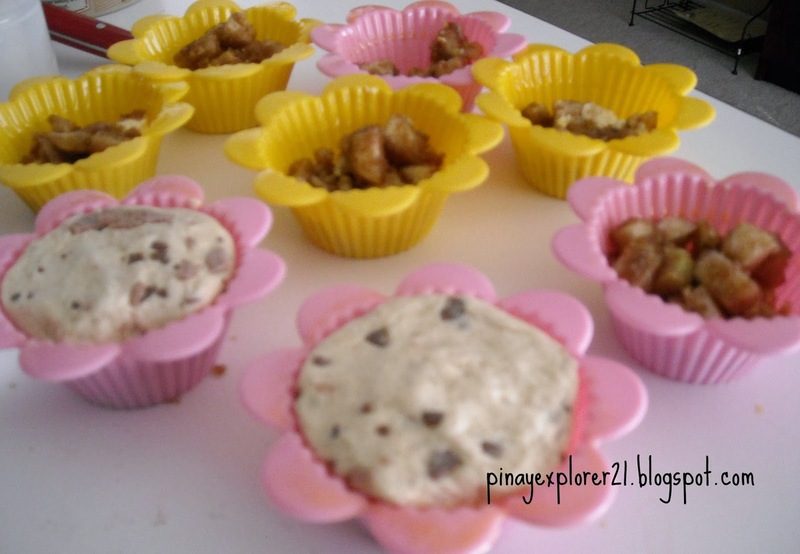 - double the quantity for larger batch. 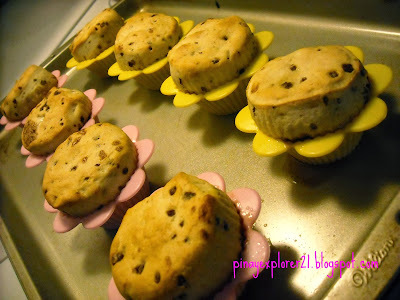 -Baking time may varies depending on the kind of oven use. 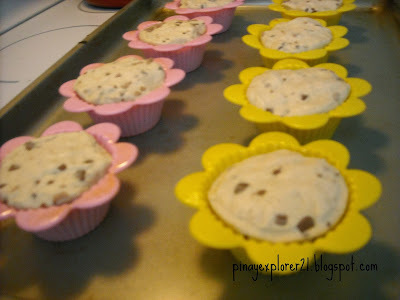 Adjust the baking time when needed. Icing- I used store bought cream cheese icing. 1.) Preheat the oven to 375 degrees. Spray the muffin cups with non stick cooking spray. Set aside. 2.) In a medium bowl stir together the peeled and diced apples with the walnuts, cinnamon and brown sugar. 4.) 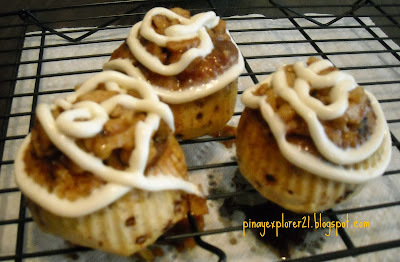 Put the cinnamon roll on the top of the each prepared pans. Push it little bit so that the mixture will stick. 5.) Bake into 375 preheated oven for 10-12 minutes. In cool rack flip the sticky buns upside down. Let it cool for few minutes before icing. 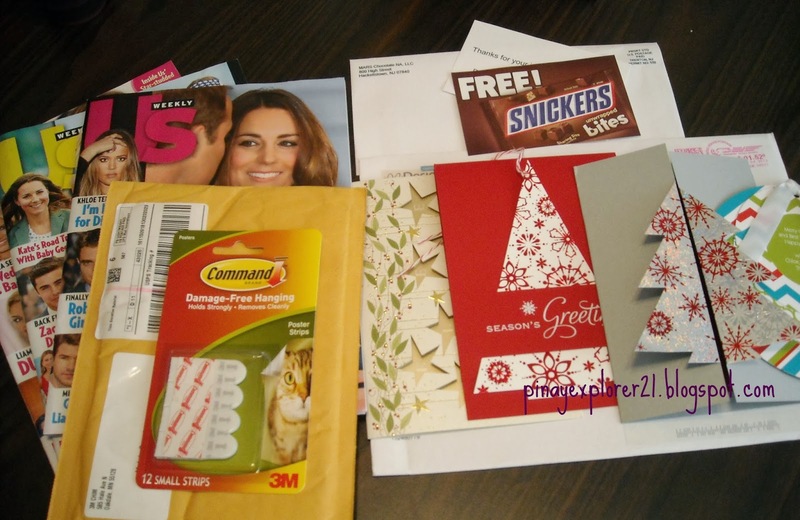 #1 - I received- 1 year FREE subscriptions of "US Weekly" magazine. - I don't buy magazines but it doesn't mean that I don't like reading them. US Weekly is my most favorite one, So, when it comes up on Hip2save few weeks ago. I didn't hesitate to do a survey which took me 20 minutes to finished.. I would say, 20 minute well spent indeed. The magazine copy come up the very next week. Pretty cool! I'm IN of the hottest chikka!! 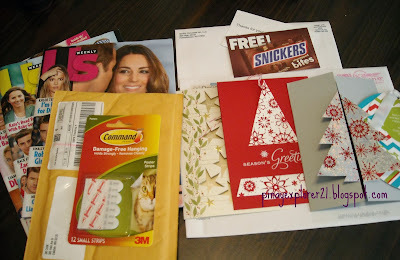 #2- I received- "Free pack of Command Strip"
#3-I received-" Free Snicker Bites"
#4- I received- "4 Holiday Cards FREE"
Disclosure: I received all the products above for FREE through my personally love site hip2save.com. 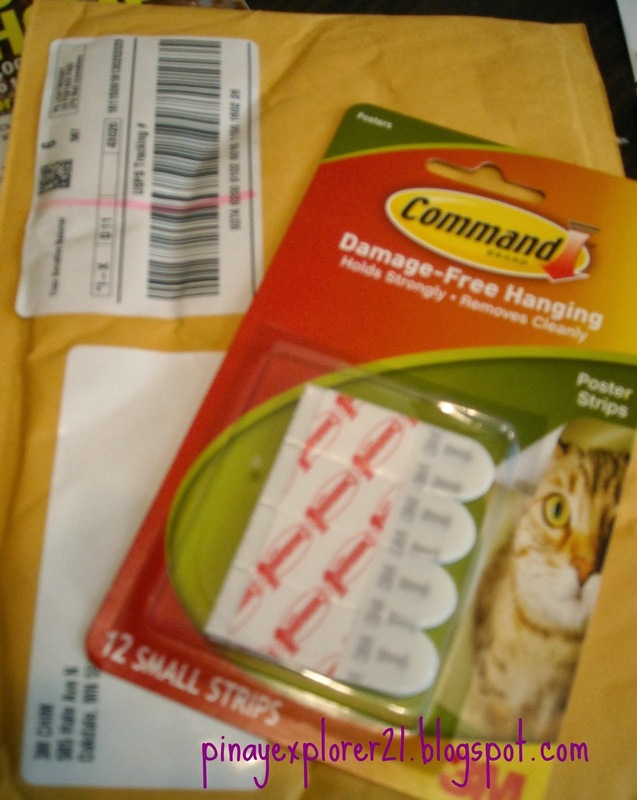 I don't have any connection to the site nor the company's. Just wanna say Thanks a lot! Hip2save and to all company who giveaway such great freebies. Opinion is 100 percent mine. 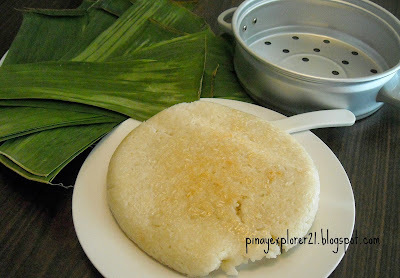 Suman is a rice cake originating from the Philippines. 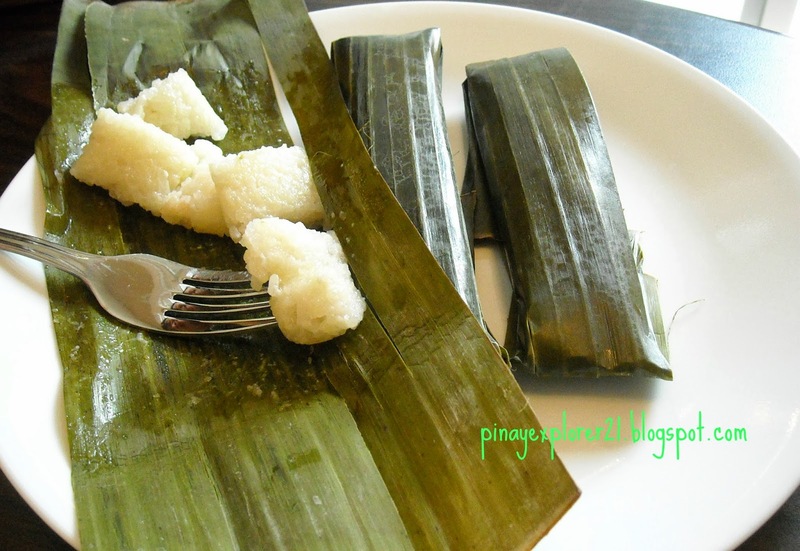 It is made from glutinous rice cooked in coconut milk, and often steamed wrapped in buli or buri palm (Corypha) leaves. It is usually eaten sprinkled with sugar. 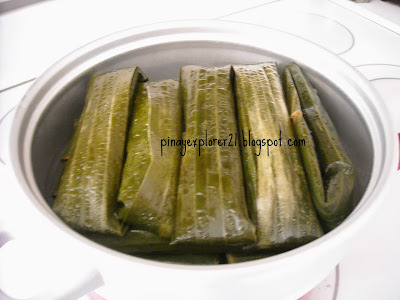 Suman is also known as budbod in the Visayan languages which dominate the southern half of the country. Suman is usually sold during fiesta's and a MUST on OUR table every special occasion. My Grandma loved to make suman and she always put some ginger on them for flavor and removed them before wrapping the suman with banana leaves. Although, I watched my Grandma make Suman, I never get her recipe. It just always feel that there's something into it that makes me wanna eat it over and over again. I would say this is my ultimate favorite snack so far. I always find ways to make suman every once in awhile whenever my craving kicks in. Making Suman, is like taking me back to those sweet memories from my Grandma and fun memories from my friends. I'm kinda missed those days, during Fiesta, all my circle friends gonna stroll around, cheering basketball game, hanging out at video-k and Me! sitting on the side eating Suman (hehehhe). My friends always tease me about my Suman addiction and we laughed all the time. Its fun until now we still talk about it ( heheh)..
- This recipe is only good for like 12-15 decent size Suman just double the ingredients if your making it for larger batch. 2 cups Coconut Milk and Water- I used a 13.5 oz. can of coconut milk and added enough water to make it exactly 2 cups. 2.) When the rice is cooked, let it cool down before wrapping. Meanwhile, prepare the banana leaves for wrapping. I used frozen banana leaves available at many Asian store. Defrost the banana leaves before using it, washed thoroughly using hot water to avoid from breaking. Set it aside and wipe it down. 3.) 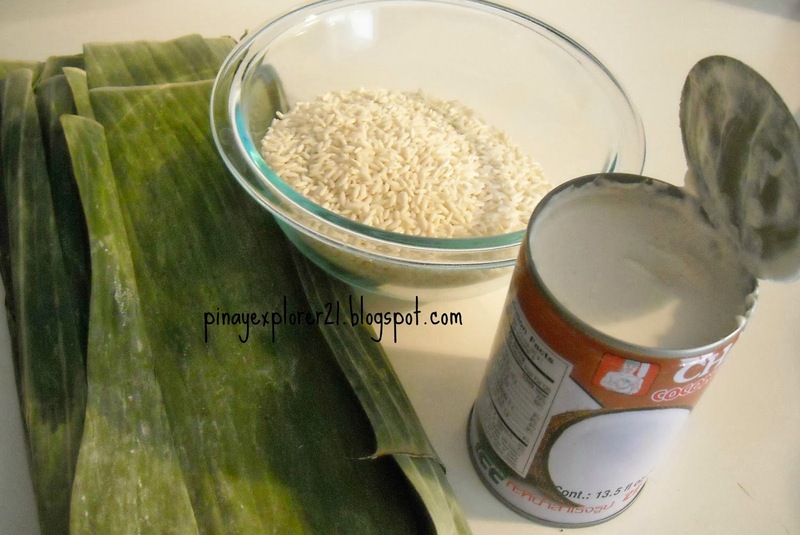 Start wrapping the Suman, by adding 2-3 spoonful of cooked rice onto the banana leaves. Size of the Suman varies depending how big you want it to be. 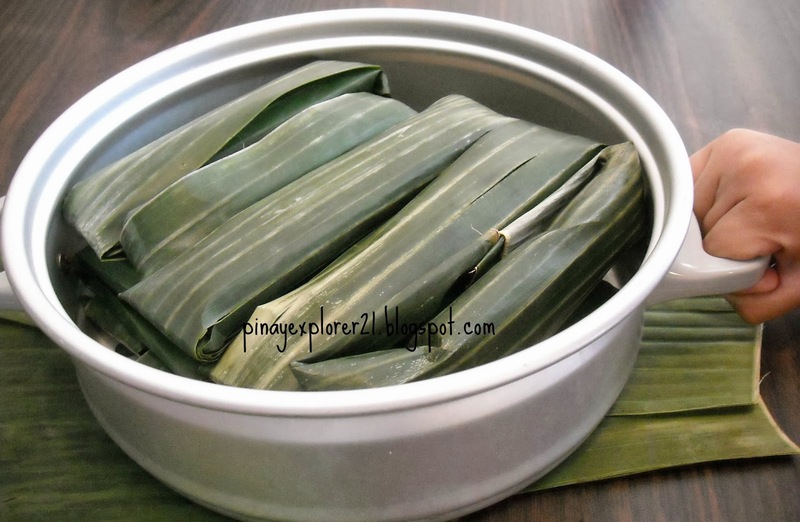 Roll the cooked rice, then fold both end of banana leaves to secure the cooked rice.